FREE TRADE AGREEMENT WORKERS IN A SPECIALTY OCCUPATION FROM CHILE AND SINGAPORE. The H-1B1 is a special visa for citizens of Singapore and Chile only. It is similar to an H-1B visa. Its key advantage is that it allows Singaporean and Chilean citizens to avoid the H-1B quota which often runs out quickly. The Chile & Singapore Free Trade Agreement requires that the USCIS reserve 6,800 H1B visas for eligible citizens of Chile and Singapore. H4 dependents (spouses and children) are not counted toward this annual limit, nor are H1B1 extension applications. One must be a citizen of Singapore or Chile. A profesional must have a post-secondary degree involving at least four year of study in your field of specialization ( some exceptions to this requirement apply). Also that even if you do not possess a post-secondary degree, you may be able to qualify under the rules for equivalent work experience. A professional cannot be self-employed or an independent contractor. The period of employment in the U.S. must be temporary, an applicant must demonstrate non-immigrant intent which is not H-1B requirement. The H1B1 visa allows the principal applicant to live and work in the United States accompanied by his or her spouse and dependent children. Only spouses and children of H1B1 work visa holders are eligible for derivative (H4) visas. Parents and other family members are NOT eligible for H4 visas. The H-1B1 visa status is renewable indefinitely, provided that a person is able to demonstrate that he or she does not intend to remain or work permanently in the U.S. (i.e., no green card pending). There are two ways to renew; either (a) the employer can mail in the renewal 4-6 months ahead of time, or (b) the H1b1 visa holder can ask for a new one at a U.S. Embassy outside of the USA. The Chile or Singapore citizen may be asked to prove “residence” in their home country at any time. 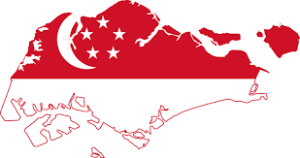 Provided the Chile or Singapore citizen is able to demonstrate that they do not intend to remain or work permanently in the United States, the H1B1 Visa can be renewed either through the mail or at a U.S. Consulate abroad. 2. An American employer can file with USCIS for an H1B1 visa for employee’s behalf. File LCA to U.S. Depart of Labor via icert portal . Must be certified in 7 calendar days. After we received the certified LCA, file I-129 petition for non-immigrant workers to USCIS . H-1B1 status applications are NOT eligible for premium processing. Q: Can a Singaporean national who is in the U.S. apply to change status to H-1B1 while in the U.S.? Yes. A national of Singapore, currently admitted to the United States as a nonimmigrant in a category eligible to change nonimmigrant status, may apply to change to H-1B1 nonimmigrant status. 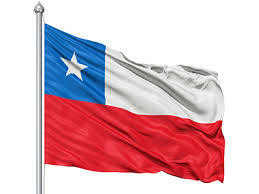 Q: What are the exceptions to having a post-secondary degree or its equivalent to qualify for an H-1B1 (for Chileans)? The H-1B1 non-immigrant classification (for Chileans) is available to certain otherwise admissible persons who do not possess a post-secondary degree or its equivalent, but who will engage in the professions of: (a) Agricultural Managers, (b) Physical Therapists, (c) Disaster Relief Claims Adjusters, (d) or certain Management Consultants who hold a degree in other than their specialty area who present alternative documentation reflecting a combination of specialized training and 3 years experience. Q: What is the maximum validity for H-1B1 visas ? H-1B1 visas can be valid for a maximum of 18 months. Extensions and renewals are allowed. Q: How can spouses and children of H-1B1 applicants apply for their H-4 visas? Spouses and children of H-1B1 visa applicants who are not Singaporean or Chilean are strongly encouraged to apply for their visas at the same time as the principal applicant, regardless of whether they have firm plans to travel to the United States. If the H-1B1 visa holder is not present for the application of their non-Singaporean spouse and children, the applicants may be asked to apply in their home country, where their marriage and birth documents can be properly verified. Q: Can I Apply for a Green Card While in H-1B1 Visa Status? No. Some visas allow a visa holder to apply for a green card and others do not. When a visa is a “dual intent” visa, like regular H-1B, the visa holder is allowed to pursue permanent residence (a green card) while being in temporary visa status.